^What is the show on the left? Gravity Falls on the Disney Channel. The more this show references Eva, the more compelled I am to actually watch it. I hear it's good, but how good is it? 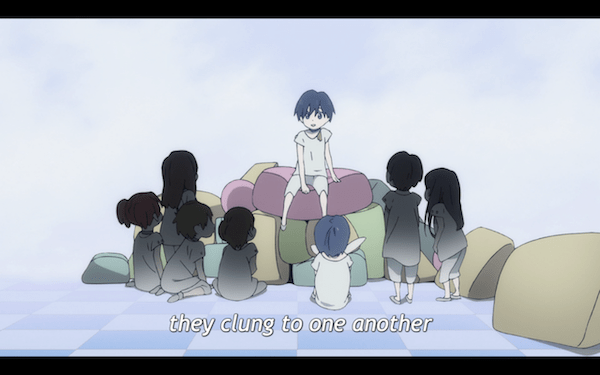 Sachi wrote: The more this show references Eva, the more compelled I am to actually watch it. I hear it's good, but how good is it? 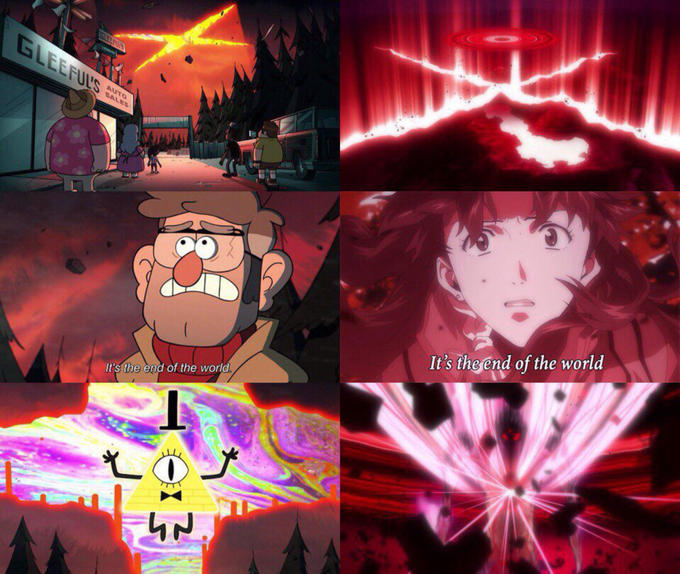 Gravity Falls has only referenced Eva once, and I'm actually not sure it was a legitimate, intentional reference. 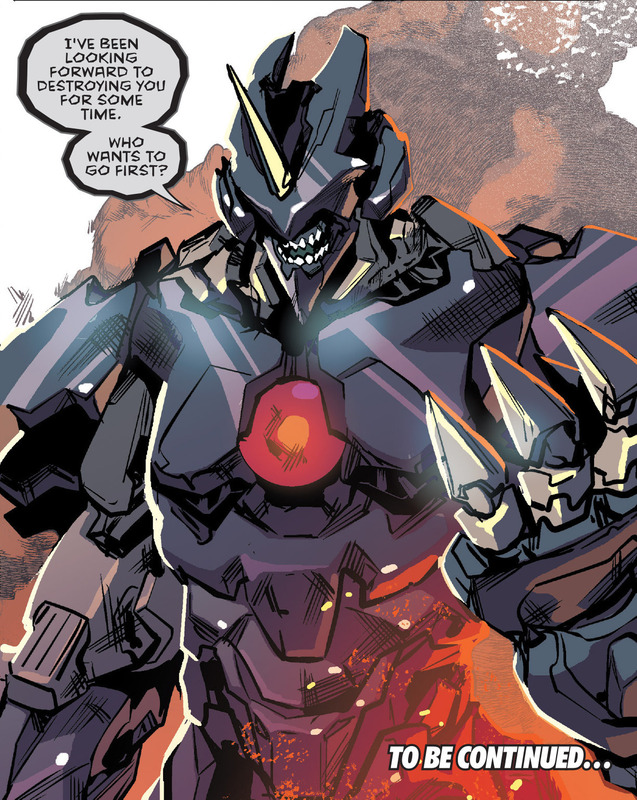 Damaged right eye, clunky jaw armor with "teeth" covering its real mouth, and a purely mechanical left arm. Also, come to think of it, does the design of Monster X look like an Eva to anyone else? First shot of Kiznaiver EP 6 is basically the first shot of 1.11 with the red ocean washing on the beach. Trigger continues to be Trigger. 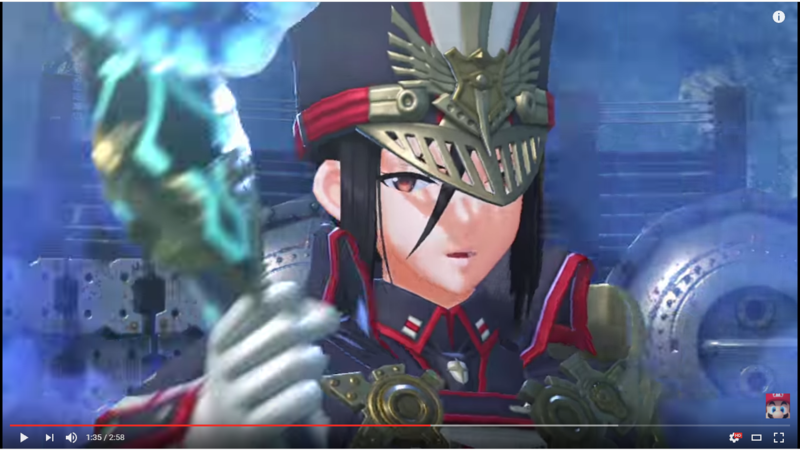 Could Rafflesia's new outfit have been inspired by the test suit from Ha? Glad to see that Mark.06 is still getting work. 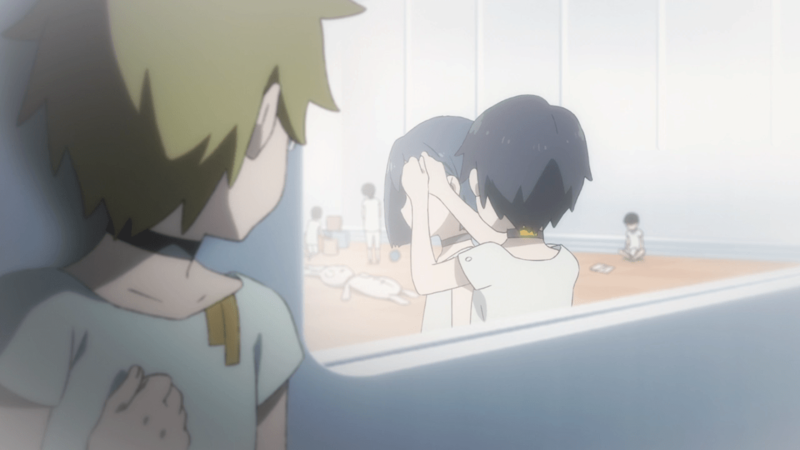 Not sure if this is a direct reference, but in the flashback scenes of Darling in the Franxx, the characters are all wearing hospital gowns and chokers, similar to what Shinji was given to wear at the beginning of 3.0.
they aren't meant to live beyond childhood. In this context, I guess the gowns and chokers are supposed to represent their lack of agency and individuality. Shinji Ikari Expy wrote: Not sure if this is a direct reference, but in the flashback scenes of Darling in the Franxx, the characters are all wearing hospital gowns and chokers, similar to what Shinji was given to wear at the beginning of 3.0.